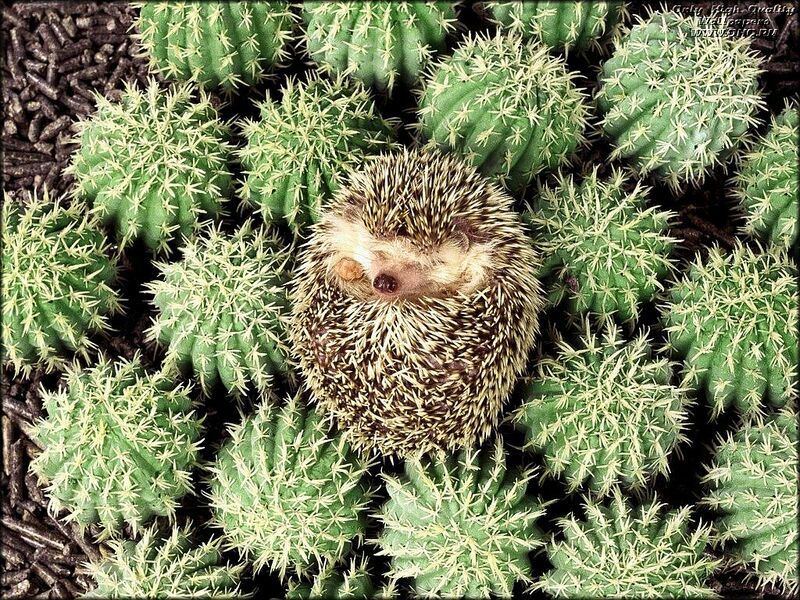 I Spy Animals: Hedgehogs as pets? ...they only roll into a ball as a last resort. 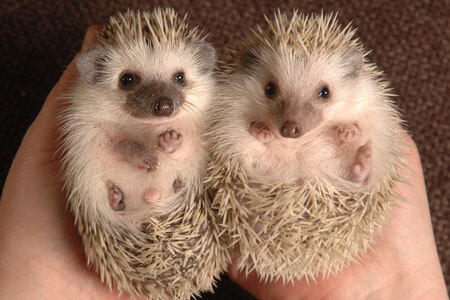 They get along well with dogs and cats, and can be fed ferret or cat food; many pet stores even have hedgehog mixes. Hedgehogs can be kept in a large cage, and need access to water, food, and a place to hide. And get a plastic (not wire) wheel because hedgehogs love to exercise! Or...you can train a hedgehog to use a litter box and let it roam around a contained area of your house. But be warned, they will chew through electrical cords and gnaw on the soft wood of furniture. Want to know more? 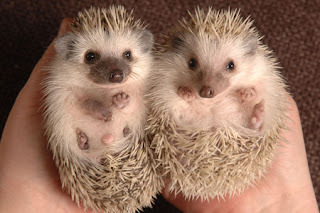 The Exotic Pets ebook will tell you all the pros and cons of hedgehogs, ferrets, and more. Download yours now. 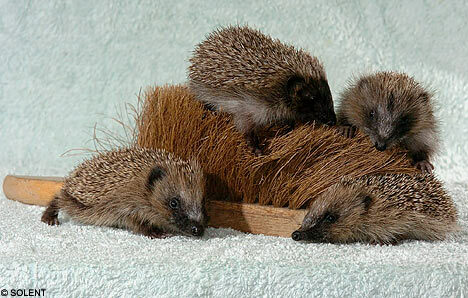 Want to see more about exotic pets? See my post here. I have a hedgehog! 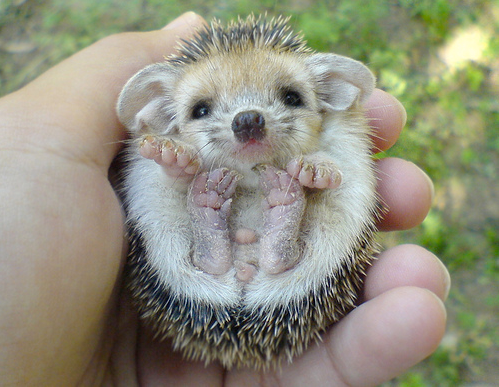 He's a baby african pygmy with a champagne coat color! He's cute! Where did you get him? What's his name? 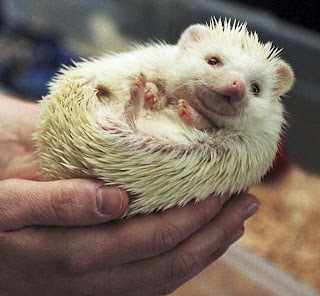 Can baby hedgehogs curl up in a ball too? Or can they only do it as adults? Does anyone have one that has bitten them? Wow...to me, his eyes look pink along with his nose. 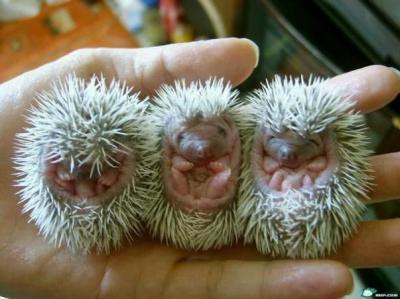 I'm looking at the fifth pic of hedgies. Maybe I should get a pic that's more clear. 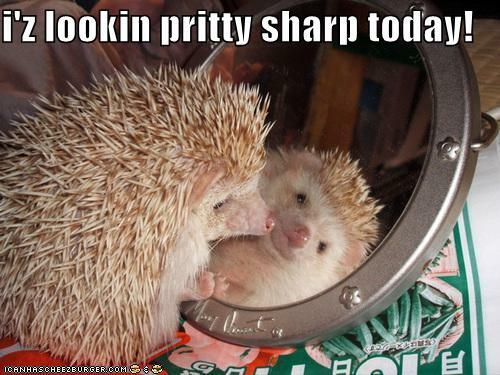 Thanks for the comment and have fun with your hedgie!